From desk jobs to couch potatoes, many of us found ourselves sitting down for most of the day. The general working day now consists of working on a computer for many people, meaning that they are resigned to sitting behind a desk. No matter how many desk exercises you do or how ergonomic you chair is, there is nothing like moving about to keep the body functioning. In fact, the link between sitting down and bad health has existed since the 50s. A study of London bus drivers showed that the dirvers were twice as likely to have a heart attack than the conductors who stood up most of the day, walking and moving about. So if we know this, why have our lives been reduced to sitting? Surely we should be moving a little more! Sitting down all day causes the blood to flow slower around the body. This means that less oxygen is reaching the brain, which in turn, impairs cognitive functioning. This means that tasks become that slight bit harder and your reactions slow down. Therefore, would it not make more sense to take short breaks throughout the day to get the blood flow going more quickly. This will elad to brighter ideas and better productivity! Of course sitting down means you get less exercise so you are more likely to put on weight. However, because the blood is flowing more slowly, it is harder for the body to break down fatty substances. Due to this, arteries are more likely to become clogged with plawque, increasing the difficulty of the heart to pump blood through the body, leading to a viscious cycle. This increases the risk of heart disease, a heart attack, or a stroke. Studies have shown that sitting down all day can increase the risk of endometrial, lung, and colon cancer. There two main reasons for this. Sitting down without exercise encourages production of insulin which encourages cells to grow. Equally, exercise encourages antioxidants which fight off free radicals which cure cancer; therefore, without that movement, you lack the antioxidants to deal with the impending problem. If you sit down all day long, the likelihood is that you rush lunch, eating quickly and returning to your desk before it digests, or perhaps you just eat right there. Eating and sitting down for a long time is terrible for digestion. The digestive processes like exercise to help the food move through the tract. Sitting down compresses the food which slows down the digestive process. This can lead to bloating, constipation, stomach cramps, and further complications if repeated over time, such as irritable bowel syndrome of intestinal cancer. 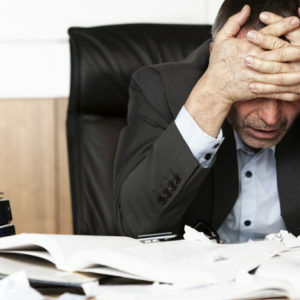 From a bad back to a sore neck, from repetitive strain injury to carpal tunnel syndrome, sitting at a desk is simply terrible for your musco-skeletal health and wellbeing. 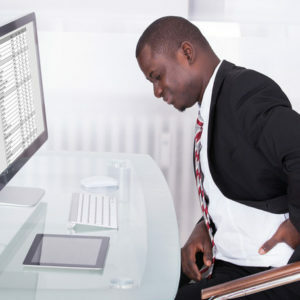 Sitting puts much more pressure on the spine than would usually be applied, and over time this causes the muscles to strain from top to tail, affecting your shoulders, neck, and legs. Equally repeated and prolonged pressure on the disks causes them lose flexibility over time, as the movement allows them to absorb blood and nutrients for repair. Desk jobs can be brutal. With the way they affect your body, maybe it explains why you come home in a bad mood every night. Try taking short movement breaks throughout the day!